Jazz Up Your Living Room With These Stunning Colour Combinations! After all, it’s the place where you entertain guests! Choosing the right colour combinations for your living room can really have a dramatic impact on its appearance. You can choose colours that bring a calming effect or are uplifting in nature - it all depends on the aura you want your living room to exude! We have our own favourites… Give them a dekko! Colour Combinations To Jazz Up Your Living Room! Here are a few colour combinations you can choose from... and a visual summary at the end which you can download for later reference. Choose a vibrant shade like turquoise which has an energizing vivacity. It will add character and personality to your living room and bring cosiness at the same time. Team it up with mid blue for warmth, and try to create a balance by using pale colours for flooring, woodwork, and bedsheets. 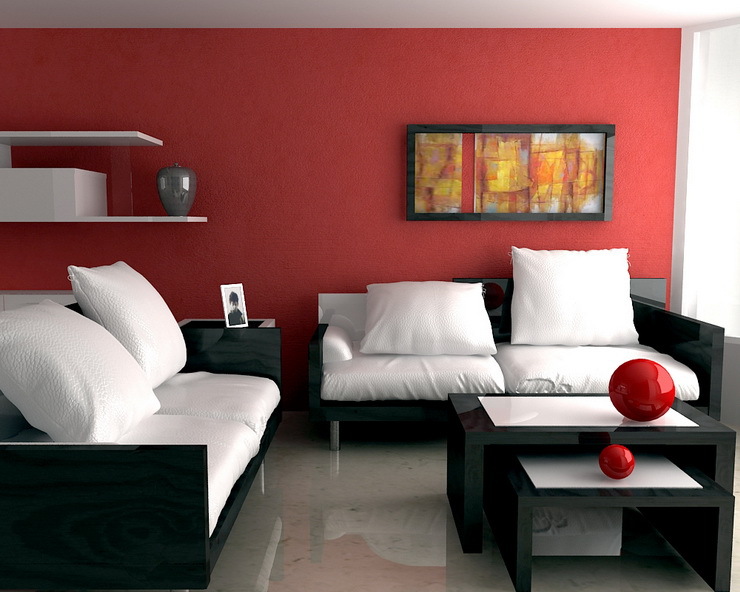 To bring a cooling effect, use the colour white on artwork, pillows and décor items. Colour your walls with mid-grey matt-finish paint which is currently trending, and get low-slung sofas in the same shade to create an impact. With wooden work on the floor and the colour white used across the ceiling, window pane, and other décor items, you may bring a contrast to your room effortlessly. Use paintings, autumnal décor pieces, and cushions in lovely shades, such as orange for a seasonal feel. Block the main wall with a dark shade like red to add a rich, heritage element. Combine it with softer tones like grey and brown while using them for tables, couches or other accessories. It will bring a balance to the colour scheme. Get your walls and shades in white, with wooden work on the floor to make your living room snug. If you love pale colours, opt for them with a sugary shade. But, going entirely pale might just add monotony to your living room. Paint your walls in a darker shade of blue which will bring balance to the lighter tones on rugs, sofas and paintings on the wall. And, some wooden work will make for an ideal finish. Your living room is the best place to experiment with different shades and tones. 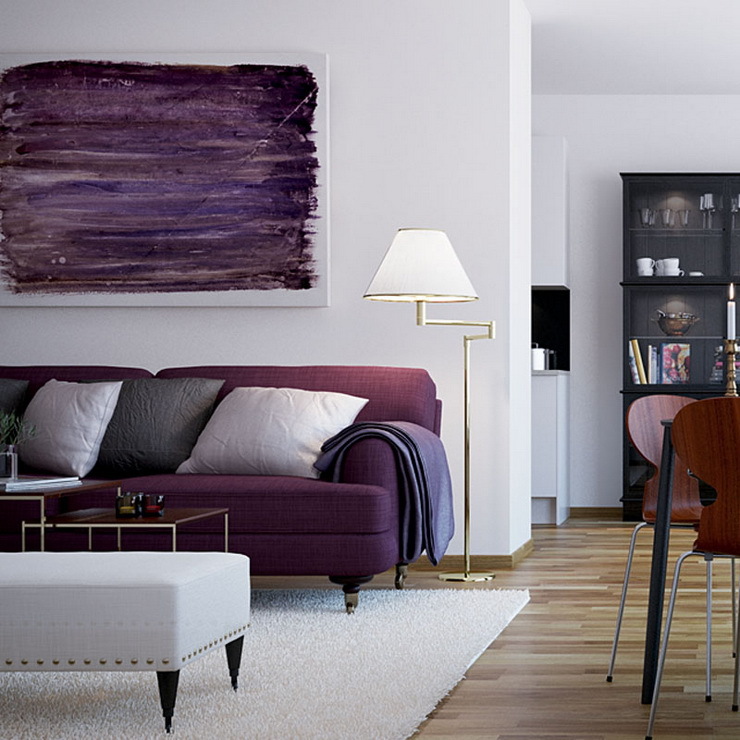 Opt for plum shades or use rugs of different tones of the same colour for a lively touch. Buy low-slung modular sofas in pretty colours to add some fun and offer a flexible cosy seating option for your guests. Paint your walls and ceiling white to create the perfect backdrop and make the brighter hues really pop. Add colourful accessories to create a different mood in your living room. Get a vintage style chair and cosy burnt orange sofas for a little drama in the room. You could opt for large cushions in different hues and wooden work. Add a punchy shade to this with the porcelain background. 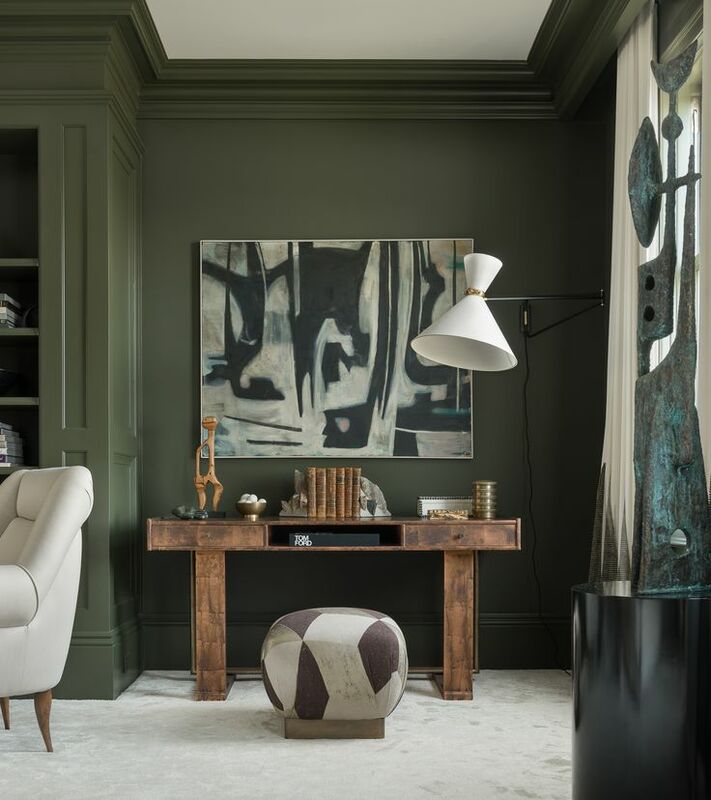 Paint your walls in deep forest green for that unusual quality it has. It makes your room feel cool in summer and cosy in winter. It will also make you feel like stepping into nature. Add white, indigo and pale colours for a soothing effect. For a warm and inviting effect, use shades like gold or pale yellow that will also help you create a classic and contemporary setting. Team it with mid-century style furniture for a cool retro feel and matte grey shades to balance out the shades of yellow. Use white across the room to match with both yellow and grey shades. Use different velvety soft shades like peach blossom. Combine it with French grey or matte grey for a warm Mediterranean feel. Add a serene effect with white coloured woodwork and curtains. Go a step ahead and learn how to use block colour to create an unconventional setting in your living room. Use a white base to help other shades pop up effortlessly. The turquoise sofa in this room complements the yellow wall. And, the brightly coloured rug with simple furniture pieces in beautiful bright and lively colours will make your room look charming! Choose the colour combination that complements the decor and the size of your living room! And most importantly… it should be an extension of your personality! Want to get your living room done up? Use Hipcouch’s Calculator to get a quick estimate of how much it would cost you! Newer PostHow to Design A Great Home Office! Older PostAcrylic Vs. Laminate: Choose The Right Finish For Your Kitchen Cabinets!